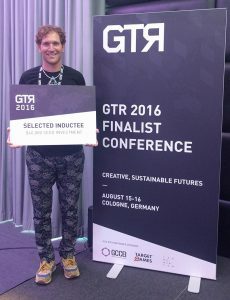 The Global Top Round is a new game based accelerator who invest in the company for a revenue share in the game they are supporting and some equity in the company. I applied to it months ago and a few weeks ago got a message that Blue Volcano was selected to participate in the final round of companies. At first I was happy (money, yay! ), then concerned (I didn’t want more people taking a cut from my hard work), and then finally thought it would be a good thing to try and receive, as it would allow more resources to be devoted to Roto Color Runners, making it a better game that would come out sooner than if I had to keep working part time jobs and develop the game on the side. 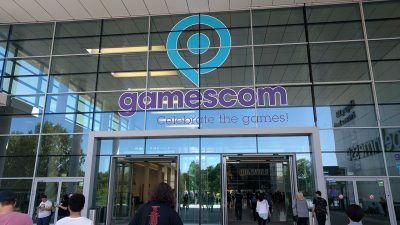 The conference took place in Cologne, Germany a few days before Gamescom (Europe’s biggest game festival). After getting to Cologne 2 days after anticipated due to airline problems, I did my best to prepare for the studio pitches the next day. In order to help stand out, I decided to ditch the regular powerpoint presentation and use a game engine to build the presentation with the look and feel of the actual game. The presentation was divided into 4 ‘stages’. The first mimicked the menu system from Roto Color Runners and talked about the studio, team members and concept of the game. Following that was a video and gameplay breakdown stage, explaining what the objective with the various modes are. After this was talking about the target market and goals with the game, themed like how you play the actual game, with the animated character collecting light that reveals the next piece of information. The final part was a video showing the reactions from players at SXSW this year. I have to thank Randall Robbins of Grey Vulture for the suggestion of adding this, and Rhys Votano for actually filming it, as almost everyone came up and commented on how it made them now want to play the game after hearing first hand from others about how much they enjoyed it. I will do a future post about how I created the pitch so you can do something similar if you choose. Day 2 of the conference and it opened with some more talks and case studies. The highlight was Logan Olson’s talk about VR and his project. A lot of good nuggets of advice such as knowing when to release your game into the wild (as soon as possible), and how to best utilise your audience to help promote your game. After the lunch break came the all-important game showcase and voting. Well, Windows decided to do a massive update the night before and as such, there were some graphics drivers issues that caused the game when running in full screen to crash. Perfect timing for it indeed! I eventually got it to work via running the game through the unity editor and having the game screen at max size. Not ideal but got the job done well enough. It’s always interesting watching other people play your game for the first time, seeing what they try and do and whether or not you feel the need to explain everything in detail or just let them figure it out. For the most part everyone was able to grasp the concept of the game within a short period of time, though I definitely need to work on better player feedback on how they are doing and less text in the tutorial. 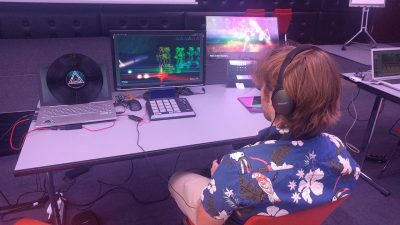 In between showing Roto Color Runners to those eager to play it, I tried my best to get around to all the other games being showcased. The way the voting worked is that everyone who attended had to vote for 3 games, including the developers. I’m not sure if this was an effective way to do it (with the developers) since a lot of people could not make it around to see/play all the games, as you wanted to remain with your game and talk to people who came to play it. Regardless, the afternoon came to an end, we packed down our games and took a seat waiting for the upcoming announcements. What this investment means is that now I can put more resources into Roto Color Runners, thus making a better game than I could do on my own and in a shorter period of time. First expense will be getting another programmer on board with the project. Then a good chunk on marketing, licencing, festival costs and much more. It won’t take long before $40k becomes $4. I better keep careful. Unless I put it all on Red….